Krisna Watersports Temukus For a whole range of water sports to enjoy while in the bay of Temukus (only five minutes from the main strip of Lovina Beach), head down to Krisna Watersports. 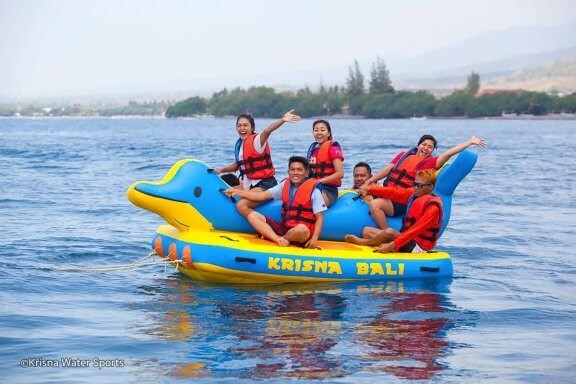 The largest and latest activity centre of its kind in North Bali, you can take the family for whacky inflatable rides, from the common banana boats to new takes such as ‘butterfly dolphins’, ‘jet plane’, and ‘crazy sofa’ that are towed behind a speedboat. Available tours also include ATV rides and speed boat tours.